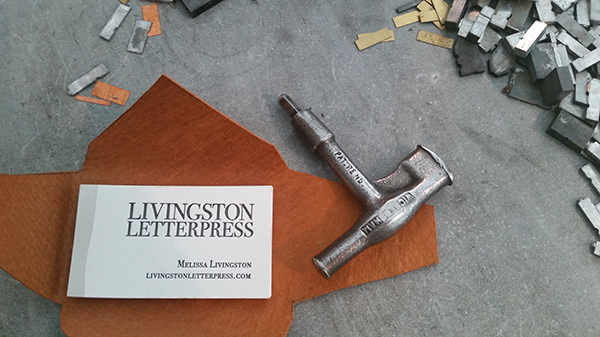 Melissa Livingston of Livingston Press is located in the sunny city of Oakton, Virginia. 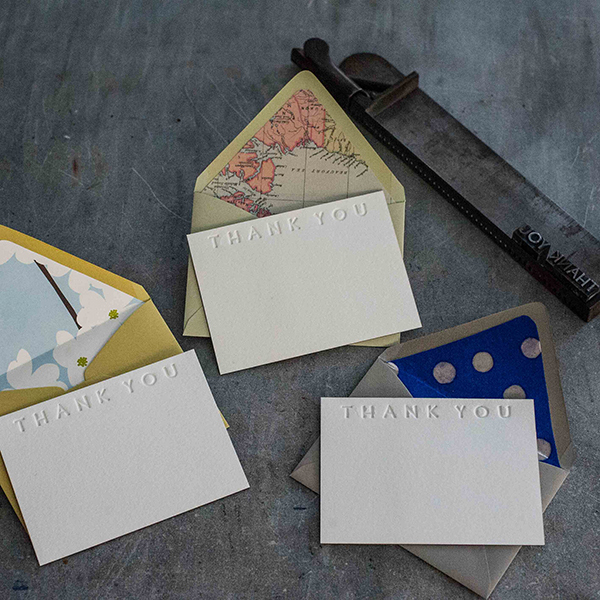 On this warm fall day, she shared with us a small peek at her printing world and the wonderful printing community that inspires her daily—from running letterpress workshops, printing mentors (and family), and the itch to get back on press. INSPIRED BEGINNINGS As a small child I fell in love with letters while watching them dance across the big screen the first time I saw the movie 101 Dalmatians. The opening credits were revolutionary at the time. The spots on the dogs morphed into words; it was art to me. Because of my love of letter forms, color and paper, I studied commercial art in college and then worked as a book and calendar designer. 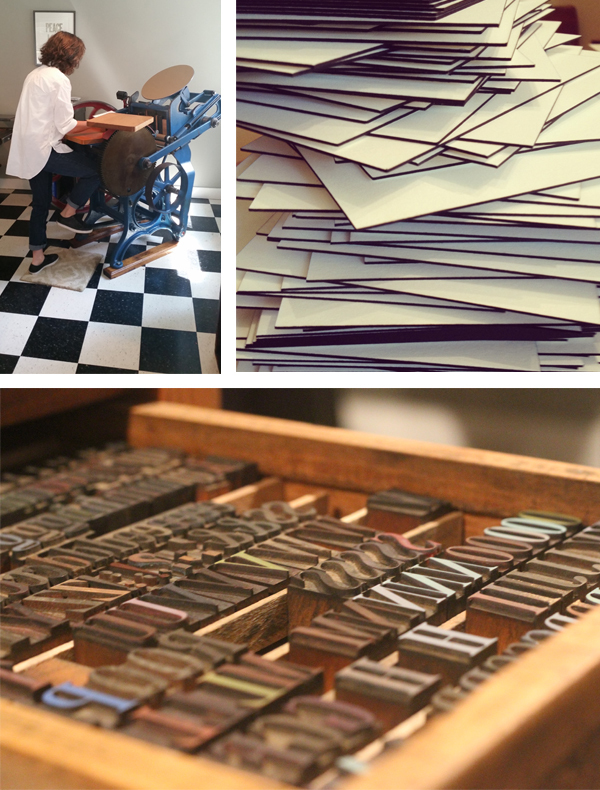 A RETURN TO THE PRINTING ARTS After taking a long sabbatical to raise my 5 wonderful children, I decided I wanted to get back into design. By that time everything in the design world had changed from waxed columns of type placed by hand on the art board to being completed on a computer screen. I missed the hands-on experience, so one day on a bit of a whim I decided to buy a 6×10 Kelsey Excelsior Victor tabletop press that came with a Boxcar Base, despite not actually knowing anything about how to print. PRINTING MENTORS After an on-line search I discovered Alan Runsfeldt at Excelsior Press Museum Print Shop in Frenchtown, New Jersey and took the little press to him to learn how it worked. Alan became a mentor and a friend. 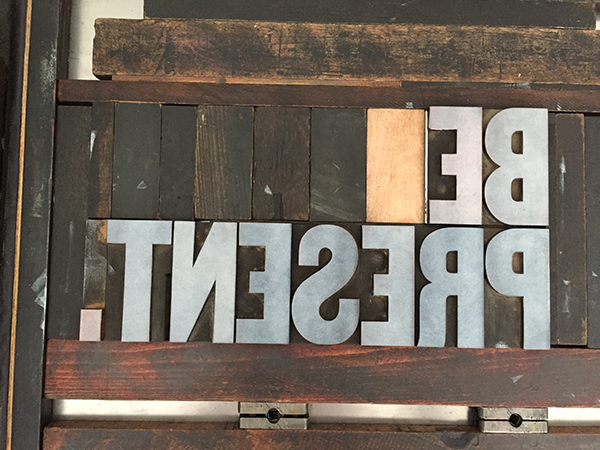 I purchased my first drawer of type from a basement in Bethesda, Maryland and with the patient guidance of Rebecca at Boxcar Press, learned how to submit a file to create a polymer plate. I was printing! I printed my niece’s wedding invitations, Christmas cards and lots of other projects. I set up a little designated printing space in my basement and loved creating on that little press. One day the little press broke and seeing my disappointment, my husband searched on eBay for a press. He came across a 10×15 Chandler & Price Oldstyle not far from our home. 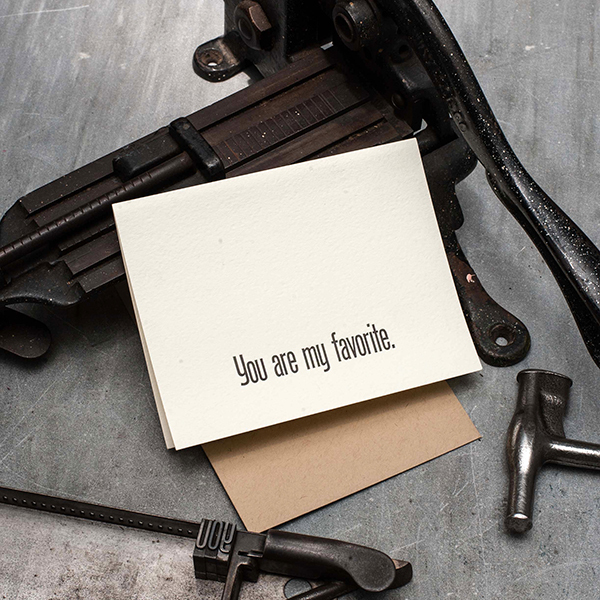 A dear friend helped us move the press into our garage and through YouTube videos and the kindness of other artists in the field (including Alan who taught me how to properly oil my machine), I continued to learn the craft of letterpress printing. THE CREATIVE FLOW My passion is really the hands on aspect of the craft. I prefer a machine powered by foot treadle. I have also collected quite an array of wooden and lead type and I enjoy the problem-solving aspect of setting type. I stock only primary colors of ink and mix all my colors by hand. I have also added a Potter Press for poster making, which does not have an inking mechanism, so all inking is done with a brayer. I do some design work with Illustrator, but prefer to leave the computer-related tasks to others. I work with a wonderful designer, Holly Osborn, whose work you can find on my website. It has also been a joy to collaborate with my daughter Megan as she has designed a few wedding suites. 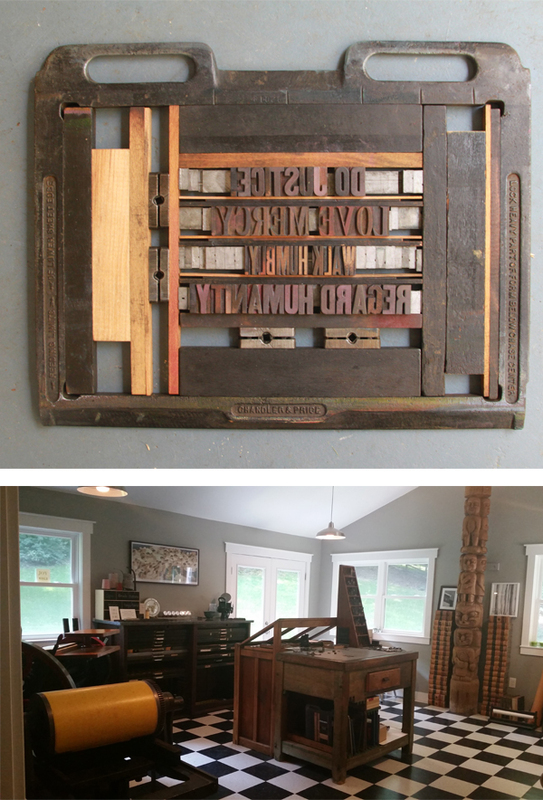 VERY VIVACIOUS IN VIRGINIA Livingston Letterpress began with the Chandler & Price in a corner of our garage. In the cold winter I would use a space heater and a candle under the ink disk to keep it warm enough to move the ink. In September of 2014 I moved into a real studio we added onto our home. The studio is a sacred, beautiful space to me; a physical reminder that dreams really do come true! I have a stunning composing table that found its way to me through the kindness of a jewelry artist who had inherited it from a printer friend. I have cases of type that sat for decades in basements and now have new life as letters are inked and pressed to the paper to print once again. I am connected to my tools as I have cleaned and scrubbed and made them functional again. It is an amazing feeling to look around the room and be surrounded by love; love for the craft, love for the kindness of others who have taught me or passed along tips or equipment, and the love of a family that supports this passion of mine. BOXCAR’S ROLE Boxcar Press has been a wonderful resource to me. I use a 5×7 Base, a 9×12 Base and also very small bases that allow me to mix polymer plates with handset type. 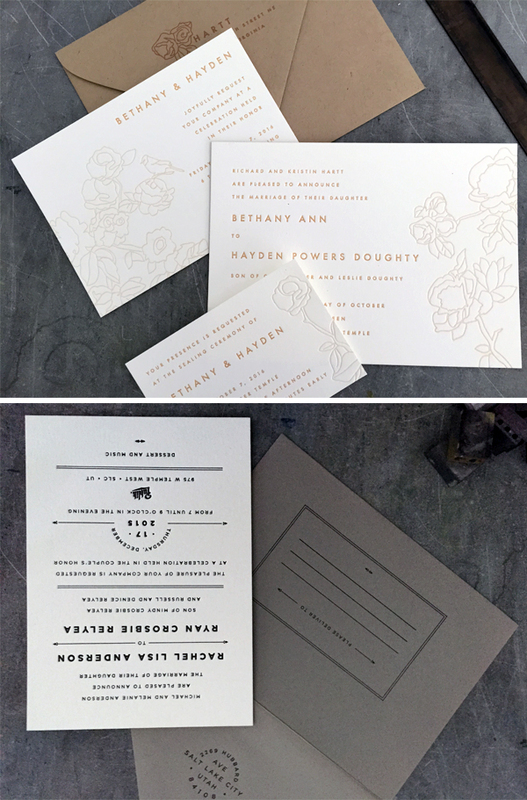 I love the flexibility that platemaking allows a letterpress printer. I recently ordered plates in Korean, Arabic and Russian! I think the thing that impresses me most about Boxcar is the kindness of the staff, especially their patience as they have walked me through how to confirm my artwork is 100% black. PRINTING FEATS I am so grateful for the opportunities that have come my way through letterpress printing. I treasure the connections I have made with people who have come to print and I love seeing their reaction as they create a treasure. I am inspired by the words people choose to turn into art. I was thrilled to get to print the menus and booklet covers and hand-stitch the bindings of the booklets for the 2015 Kinfolk Dinner in Washington, DC, but my favorite projects have been to print wedding suites for my oldest son and daughter. 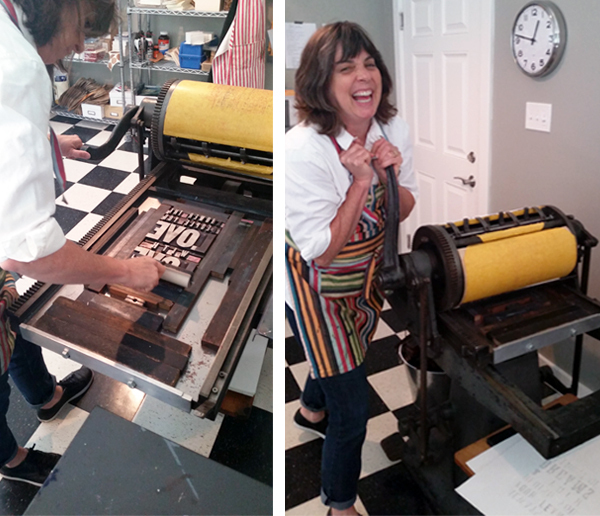 Big round of thanks out to Melissa for the fun happenings at Livingston Press. Keep up the amazing work! This entry was posted in Letterpress Is Fun, Printer Profiles, Shop Talk and tagged Chandler & Price Old Style, Kelsey Excelsior, Livingston Press, Melissa Livingston, printer, Virginia, Virginia Letterpress by Rebecca Miller. Bookmark the permalink.